Folklore suggests that the horn of a unicorn might purify poison water and cure all manner of diseases. 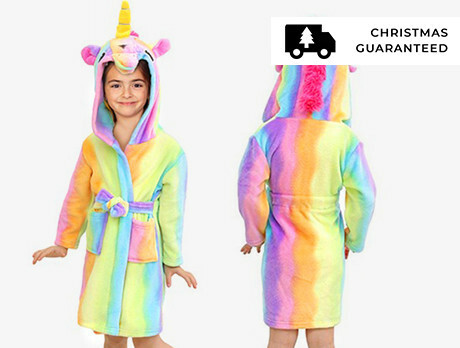 By any account, this is the sweetheart of the mythical beasts and our dressing gown collection will surely enchant your little one with wonderment. Note: magical properties not guaranteed.